The relative “crashability” of miniquads is my favorite aspect of this type of aircraft over all others. I not-so-fondly remember the days of my obsession with RC helicopters, where I absolutely dreaded the maiden flight or learning new maneuvers because they risked crashes which were always followed by an expensive rebuild. Often the aircraft would never be the same again after a particularly good wallop. Miniquads, on the other hand, love to take a beating. I have flown quadcopters into concrete walls and trees, re-armed, and flown away countless times. Try doing that with any other aircraft. Not all quadcopters can claim this kind of crashworthiness, though. Good durability must be built into the quadcopter. For ARFs, this means you will depend on the manufacturers a lot. I recommend you check out our ARF inspection guide for some tips on what to look for with regards to ARF durability. 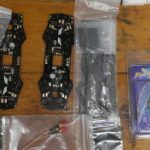 If you are building our quadcopter from parts, check out our buyer’s guides for each individual part to see what we have to say about picking parts for durability. Sourcing the right parts will only get you part of the way there: your miniquad’s durability is also largely dependent on how you build it. 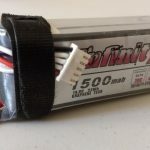 This article will walk you through some tips and tricks we have picked up over the last few years to help you build your miniquad so that it is as durable as possible. They will be accompanied by some lessons we learned the hard way, in the hopes that you don’t have to incur the same expenses we did. 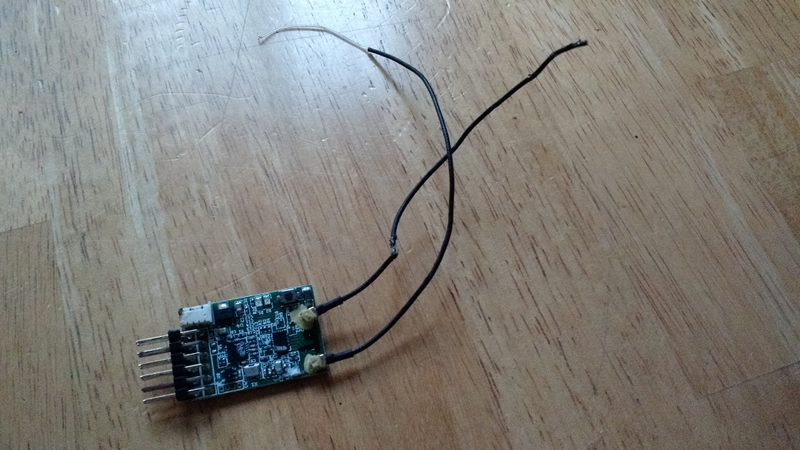 This is acceptable for camera ships, but in a racing miniquad these wires will certainly be a failure point. When used appropriately, JST-SH connectors like this can help immensely in cleaning up your build. When building your miniquad, try to use the absolutely minimum number of wires you can. Furthermore, try to cut them so that you are using as little length of wires as you can. 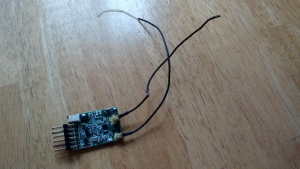 The reasoning is simple: any wire on your miniquad that isn’t completely enclosed by structure is simply a little snag just waiting for a rogue twig or branch to grab it and and tear it apart. Exacerbating this is the fact that the wires we use in this hobby are generally very small and cannot be considered very durable. I regularly have to replace most of my wires every few months because the sheathing has degraded to the point where it is cracking and copper is showing – not a good situation for flight. 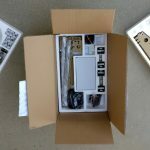 The best way to reduce the number of wires you use is to plan out your electronics package in advance. For example, you might consider getting Flight Controller’s with build-in PDBs, VTXs and/or ESCs. Similarly, if two parts can be connected using JST connectors, consider using them. They are often considerably “cleaner” and more durable than soldered wires. 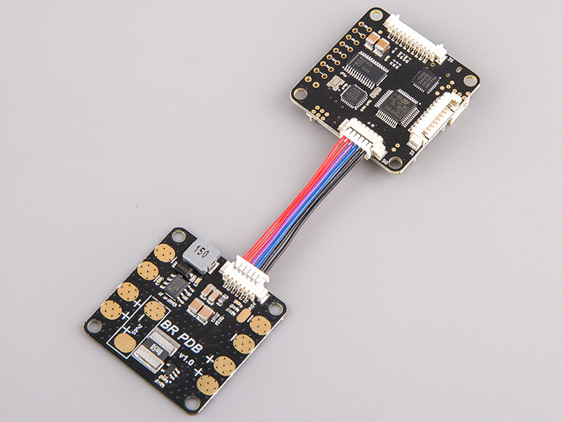 A common case where you can use these connectors is between the Flight Controller and a 4-in-1 ESC. This may seem like a cop-out but it’s actually incredibly important to the durability of your quad. Take some time to practice soldering to spare parts before actually building your quad. Watch some videos and read some tutorials. 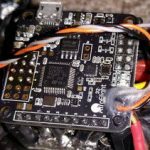 Cold solder joints, or joints with too little solder can degrade over time, causing hard-to-diagnose electrical issues in your miniquad. It really pays to understand what a good solder joint looks like and have a high attention to detail when doing your soldering work – particularly when dealing with small components like putting pins on a board. Other related details like twist-wrapping wire before soldering and using good-quality silicone-coated wire will greatly improve your durability too (thanks to /u/lampii for this). Check out our Soldering 101 guide here! 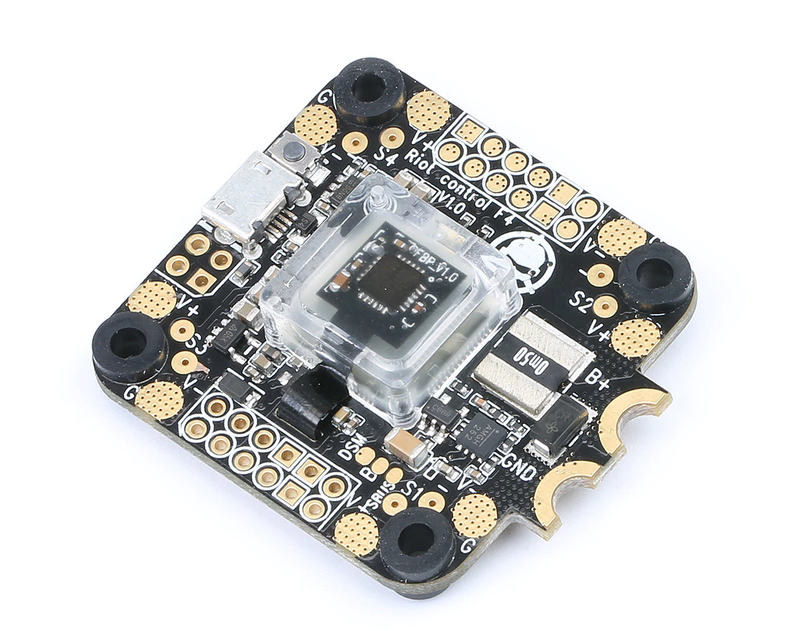 All-in-one flight controllers, like this Riot Control, clean up your builds considerably. 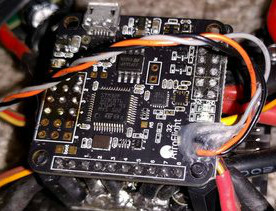 Power distribution boards, or PDBs, are the power hub which pretty much every electrical component on a quadcopter must connect to. As a result, they radiate solder-mounted wires in many directions, and are particularly susceptible to breakage during crashes. Ever since we started exclusively using Flight Controllers with integrated PDB’s, we’ve seen considerably less electrical system failures caused by crashes. A lot of folks use electrical tape instead of heat shrink to cover exposed wiring. There are legitimate reasons for doing this, but most of the time I find it is because people have not actually tried to use heat shrink before. I recommend (if you havent already) that you pick up a heat shrink kit from Amazon for $8 and use it in your next build. You will be surprised at how easy it is to work with, even if you use a cigarette lighter to shrink it. More importantly, you’ll thank yourself a month down the line when your heat shrink is holding up — when the tape would have dried off and fallen off or melted into a pile of plastic sludge. This is more of a general build tip, but is definitely worth repeating. Carbon fiber is both abrasive and conductive. If you sit a PCB like a flight controller or a PDB on it, it will either cause shorts now or later, after it is has rubbed through the silicone a bit. Always use standoffs and/or coating like liquid electrical tape or hot glue to isolate your electronics from your frame. Taping the balance connector to the battery can save it from going through the prop. This advice is particularly important for miniquads that mount their batteries on the top of the frame. On these quads, you should pay attention to how close the battery connector wires are to the propeller disk. During a crash, these connectors can be shoved in any direction with surprising force, and if they end up in the prop they will surely be damaged or cut. A similar issue relates to the balance connectors found on most LiPo batteries. These connectors are rarely restrained and like to get sucked into the propeller if they get the chance. All of us at Propwashed have killed at least one balance connector in this way. There are a few ways to protect your balance connectors. The easiest way is to just tape them flush against the battery body so they cannot fly out into the propeller. Alternatively, you can make sure to strap them into the Velcro strap every time you strap in your battery. Tyler loves using these cable management straps as they are easy to remove and tighten to most battery sizes. 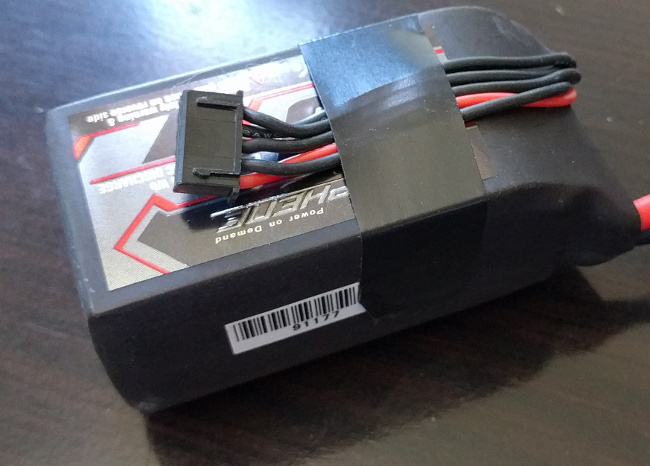 Double up on whatever you are using to hold your battery to your quadcopter. We recommend using a velcro strap combined with an anti-slip pad, which can itself be made of adhesive velcro. A common way to “break” your quadcopter is to slowly “dispose” of each of your batteries by launching them into various hard objects during crashes. So you probably aren’t planning on turning your miniquad into a submarine – why do you need to waterproof it? Because even though you won’t intentionally fly it into the water, it will sometimes get pretty wet unintentionally. We have issues with this particularly on wet, dewy mornings when flying in grass fields. Every time you land or crash your miniquad in the grass it will pick up a ton of water. If enough water gets on your sensitive electronics it could cause electrical failures or damage. Another situation we have some experience with is flying over snow. You may have a warm, dry place to take off and land when flying in the winter, but sometimes you’ll crash in the snow. Water-proofing your electronics is cheap insurance that it will keep flying after this happens. We don’t think this is necessary for everyone out there, but if you live in a relatively wet part of the world you should certainly consider it. Most miniquad frame manufacturers cut their frames from large sheets of carbon fiber, leaving sharp, unprotected corners on the resulting parts. This leaves all of your parts with very sharp corners that are vulnerable to delaminating when exposed to sheering forces in a crash. Delamination of carbon fiber severely weakens it and also exposes some nasty carbon threads that will get stuck in your fingers if brushed the wrong way. The solution to this is twofold. First, you should sand your arms down a little bit with a metal file when you receive them so that they have a slightly rounded edge. The goal is to have no sharp corners poking out in any of the impact points where you might crash. Thanks to /u/mellow65 for this. One note on sanding or reshaping carbon fiber – the dust from sanding is extremely toxic! Be sure to wear some sort of mask or respirator when sanding carbon fiber! Thanks to /u/kerowhack for pointing this out! If you are installing metal hardware that does not have some sort of nylock or other thread-retention mechanism built in, consider using Loctite. Blue is the correct color to use for our applications. This is especially important for the bolts that hold down your motors. Having a motor come loose in flight is almost guaranteed to end in a “bad day” for you. This isn’t strictly necessary for every bolt. For instance, we don’t recommend Loctite for the bolts that hold on the top plate for the ZMR. However, you can use it there too if you want. Thanks to /u/Dayz15 for this. These RX wires are board-soldered to this Naze. To protect them I coated them in hot glue. When soldering a wire directly to a board, consider coating the solder joint in hot glue. The reason is that when you solder a small wire, some of that solder wicks up along the wire, causing it to become very rigid. However, since it is small, any bending force will cause it to bend plastically. Metal doesn’t like to bend plastically and will break in very short order. To prevent this, you can use a blob of hot glue to support the wire end. Just be sure you apply this at the very end of the build process – removing it can be a pain! The video transmitter is generally a very small PCB board without a lot of structural strength. The antenna that sticks out of it, on the other hand, is generally one of the first components to take an impact in a crash. 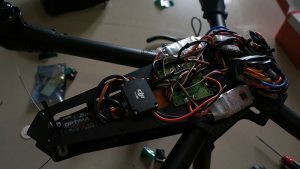 If your antenna is screwed right into your VTX with no supports, the SMA mounting area on the VTX will break eventually. To save yourself from having to repeatedly buy new VTX’s, you should isolate the antenna from the transmitter. The easiest way to do this is to buy a VTX that has a coaxial pigtail, rather than one with a hard-mounted SMA connector. 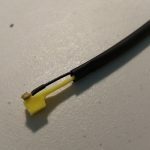 See our buyer’s guide for assistance in finding VTX’s with pigtail connectors. If you do buy a VTX with a hardmounted connector, you can buy a SMA pigtail from Amazon. Note that using a pigtail extension will lower your VTX gain. In my experience, this drop is not enought to affect most miniquad pilots. Protect your antennas! You don’t want your props to turn them into junk like this. The simple method is to wrap long zip ties around an anchor point on your frame such that the zip tie end is sticking up in the air. Now, feed your antenna up alongside the zip tie end. Take a long piece of heat shrink and slip it over both the zip tie and the antenna. Then, apply heat to “stick” the antenna to the zip tie. This will let you use the zip tie as a support for the antenna to keep it out of the props. The other method is to take a page out of the RC car book and feed your antenna through a stiff, hollow straw. You can use coffee straws from a fast food joint or you can pick up purpose-made colored antenna tubes to bling your quadcopter out. 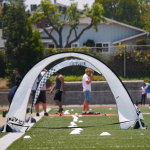 The catch with this method is you need to find some antenna tube mounts for your quadcopter. These can generally be 3D printed if you have access to printers. Just check yeggi or thingiverse. Just drop $300 on a GoPro? Maybe you went on the cheaper side and picked up a RunCam2 or Yi. Either way, protect your investment from inevitable crashes by using some protective covering. At minimum, protecting the lens by mounting your camera behind the front of the frame is a solid first step. Another relatively cheap solution that anyone can do is purchase a simple lens cover to help protect one of the most sensitive parts of the camera. The best solution? 3D print up a camera mount. Thingiverse.com has a TON of models available free for nearly every action cam and popular quad frame on the market. Don’t have a 3D printer at home? Worry not, as many libraries, universities, and community centers are offering 3D printing services. Check out our article on using a 3D printer for creating drone parts at home! Another option – many people on different forums recommend getting an insurance plan for their action cameras (Squaretrade, in-store plan, etc.) to replace it 1:1 in case of a really bad crash. Obviously most plans probably don’t directly cover ‘my camera shattered because I slammed it into the ground at 80 MPH while rolling my Krieger’ so be aware of what coverage you have. Definitely a grey area, so buyer beware. Just like you guys, we are constantly learning in this hobby and looking for great new tips. If you have any tricks you like to use to improve your miniquad’s durability, please drop them in the comments section below and we will add them to the article! We will gladly credit you as appropriate. Like many of our articles, a few of the links you can find here are affiliate links. It will cost you nothing extra when using them, but will send us a few cents if you do decide to buy anything. Please support our site and use our links where possible! Once again, we’d like to thank Reddit for their input on this thread.